Tolexo is an online store, one of the largest marketplaces for office and industrial goods and supplies. Dinesh Agarwal, IndiaMart Founder and CEO said that the company has already invested USD 10 million (approximately Rs. 65 Crore) in the current financial year and they are committed to fund Rs. 100 Crore more. Agarwal further said that Tolexo was formed to keep up the sale and purchases of the companies listed on IndiaMart with special focus on business goods and related accessories. He added that to give a strong push to the Tolexo business, IndiaMart has also spent on creating a good team of leaders. There are new recruitments at the top managerial levels which includes Prateek Chandra as CFO, who worked earlier with Fever FM and Harsh Kundra as Chief Technology Officer who previously worked with Jabong. Out of Rs. 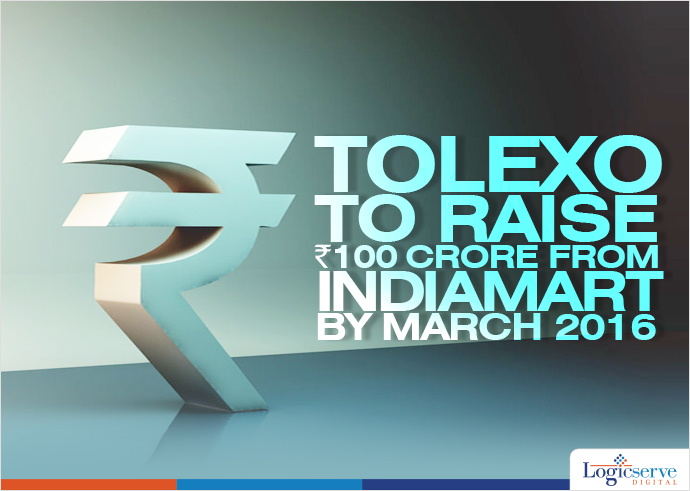 100 Crore, Tolexo will shell out Rs. 25 Crore in making digital product catalogue that is generally sold by SMEs, especially for those who hardly have any exposure to brand building exercises. Another Rs. 25 Crore are earmarked for employee salaries and the balance Rs. 50 Crore will be utilised for company branding.